Course of the European Society of Anesthesiologists in the framework of the European continuing education in anesthesia - CEEA (Committee for European Education in Anesthesiology) organized by the Association of Anesthesiologists and intensivists of Serbia and Clinic for Anesthesiology and Intensive Care, Military Medical Academy was held at the Military Medical Academy. Assistant Director of CEEA Dr. Nebojša Ladjevic from the Center for Anesthesiology and Resuscitation of the Clinical Centre of Serbia and Head of the Clinic for Anesthesiology and Intensive Care MMA Lt Col. Doc. Dr. Dragan Djordjevic spoke in the introductory part. As it was said at the two-day course dedicated to anesthesia in cardiac surgery, a high level of education that allows participants primarily to renew knowledge in anesthesia, intensive care and pain therapy is expected. Ten lectures that cover areas of cardiovascular physiology, pharmacology, cardiovascular drugs, as well as the specific field of anesthesia in cardiac surgery, preoperative preparation of the patient to hemodynamic monitoring were announced. 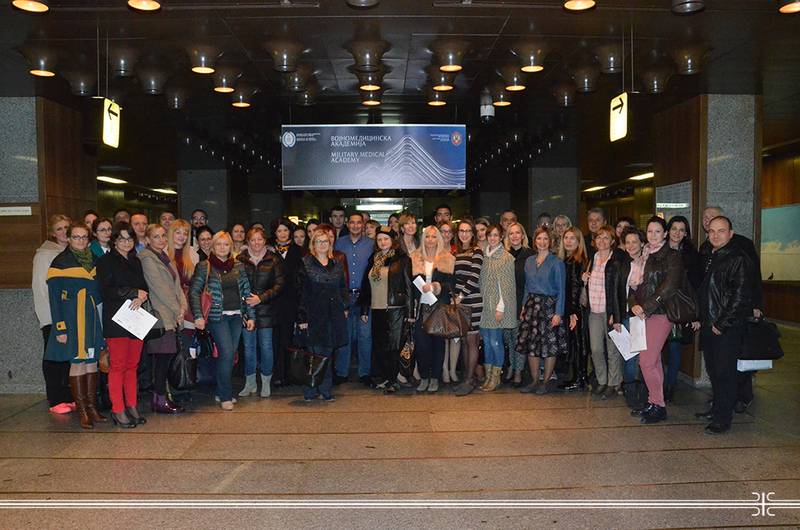 In addition to MMA’s doctors, lectures were given by members of the Clinical Center of Serbia, Institute of Cardiovascular Diseases "Dedinje", Clinical Center "Dragisa Misovic" and Clinical Center Nis. This CEEA course is the second out of the six thematic units that provides participants training and after that they receive official diplomas of the European Society of Anesthesiologists.